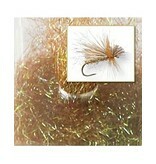 Unbeatable flash and a fine, super-soft cut for easy tying. The best of both worlds. Great for drys, nymphs, and streamers. 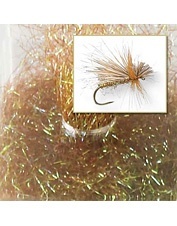 In pheasant tail, black, olive brown, rusty brown, shrimp, caddis green, lt. olive, peacock, lt. yellow, tan, pearl, golden, olive.